For the simple idea of sitting Eileen Atkins, Judi Dench, Joan Plowright and Maggie Smith at a table and turning on a couple of movie cameras, director Roger Michell should get a royal commendation himself. The women of this film’s title are not just any dames. 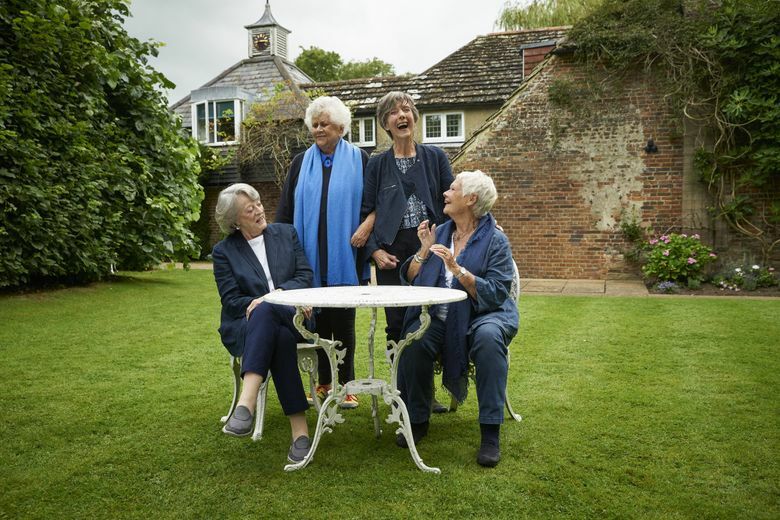 Friends and colleagues Eileen Atkins, Judi Dench, Joan Plowright and Maggie Smith are actors both legendary and still active (although Plowright, at 88 the eldest of the group, has been largely sidelined by blindness). For the simple idea of sitting them all at a table and turning on a couple of movie cameras, director Roger Michell should get a royal commendation himself. “Tea with the Dames” features these women not just serving up refined dish but frankly comparing notes on the fears and anxieties of an actor’s life. “On my way to the theater I always think, ‘Would you like to be run over now, or in a massive car accident?’ ” Atkins says. “And I only just about come out on the side of ‘No.’ ” Her friends nod in emphatic agreement. Brought up in the theater, they all swear their film careers were more or less afterthoughts. Speaking of acting and staging trends, they weigh the worth of trying to apply naturalism to Shakespearean verse. Dench endures some good-natured ribbing about her blockbuster fame. “Tea with the Dames,” a documentary directed by Roger Michell. 84 minutes. Not rated. It plays at the Varsity through Oct. 25, then continues at the Crest starting Oct. 26. The New York Times does not provide star ratings with reviews.